Waterfall Info: From the bottom, this is the second and main waterfall on Timpson Creek. it's located at the boundary between USFS land and private land, but it can be viewed safely from public land. 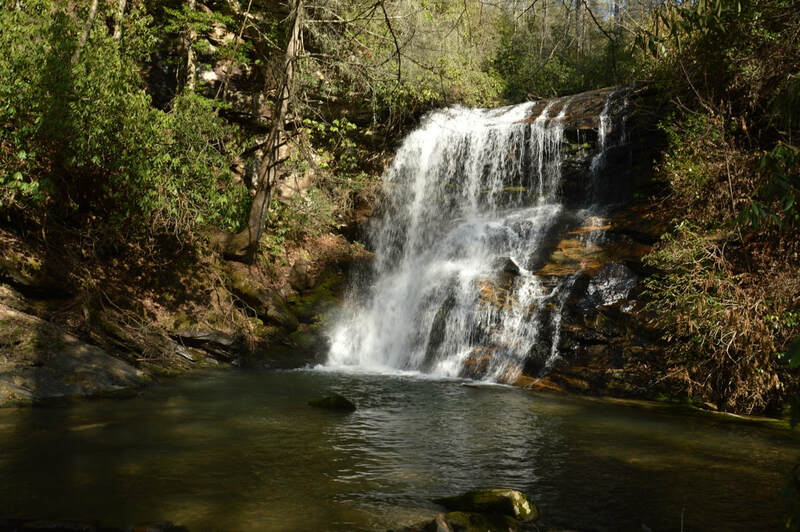 Access Info: An easy walk along an old forest road from Timpson Creek Road (FS 162) with a short, steep scramble at the end will bring you to this waterfall. Be advised that there's a crossing of Timpson Creek at the start.